Koufax rode the dugout pine for a few months, in part to work on his wildness, but finally debuted in mop-up duty on June 24th against the Milwaukee Braves. He made none other than All-Time Giant #5 Bobby Thomson his first strike out. 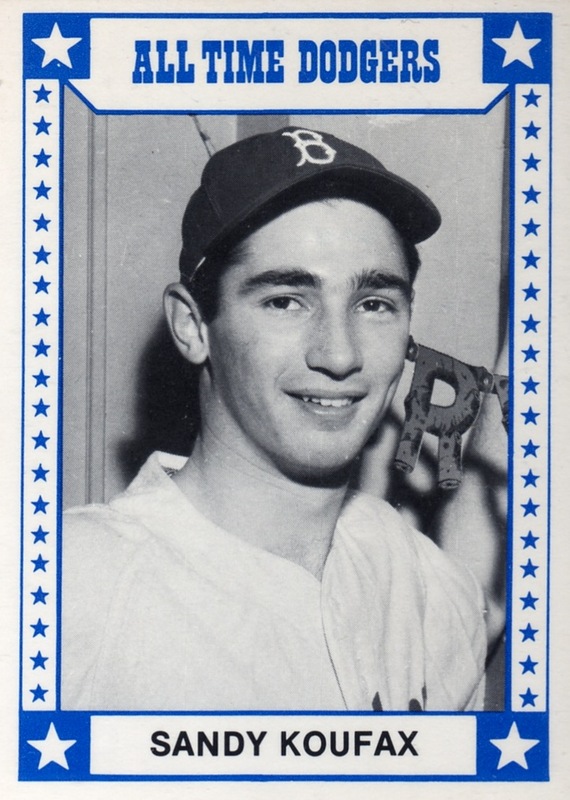 Like TCMA's other All-Time teams, this 12-card set includes 8 position players, 3 pitchers, and a manager. Dazzy Vance led the NL in Ks for 7 straight seasons, pitched 600 more innings than Sandy, and still had 300 fewer strike outs! 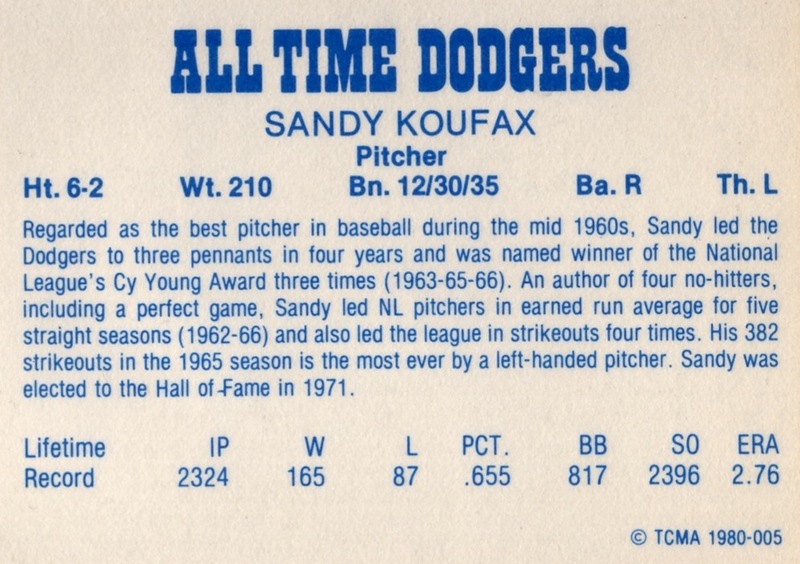 Few have--or ever will--reach the heights Koufax hit from 1961 to 1965. Value: CheckOutMyCards.com lists singles from this set for $2 or less. Fakes / reprints: Haven't seen any in the market.